Charge has released early images of its 2016 mountain bikes for a range that will solely focus on the 27Plus wheel size – there are no 26,29 or 27.5 inch models in the line at all. 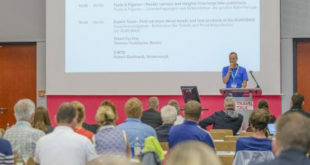 The brand told BikeBiz: "The team at Charge have been riding 27Plus for some time and believe it’s a new and significant growth category for mountain bike. Riding a 27Plus bike means you measure your day in smiles not miles! They are fun to ride." 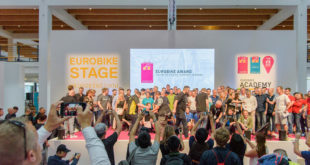 Not only that, but Charge is set to return to Eurobike this year, promising another memorable booth, inside the venue this time. Charge will also be fully available in the USA for the 2016 model year which is another first for the brand. The 2016 range peaks at £2,999.99 for the Cooker 5 and starts with the Cooker 0 at £699.99. Designed with all new geometry to support the 27Plus wheel size, Charge Bikes said it will likely be the first company to offer a comprehensive range of this new tyre size and will have product available on the shop floor from September 2015.